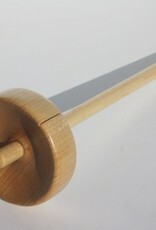 A spindle from the Fiber Artist Supply Co., LLC spindle is a great starter spindle. We take care ensuring these spindles spin true, giving every spindle a test spin prior to shipment. 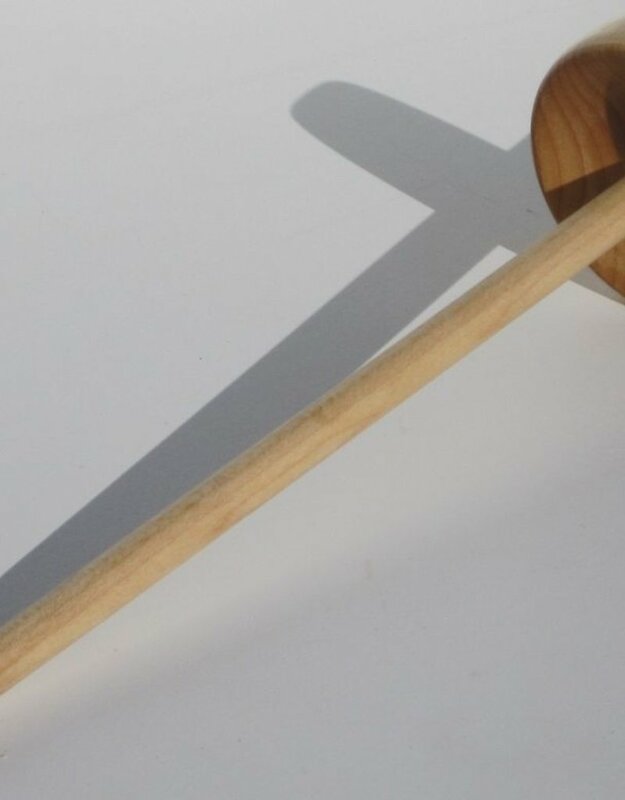 The conical shape of the whorl puts most of the weight along the perimeter, helping the spindle spin longer and stay more stable. A notch in the whorl helps keep your spun yarn in place. 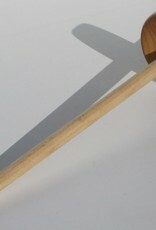 Both the whorl and the shaft are custom crafted from hard maple, sanded until smooth, and finished with a satin danish oil. 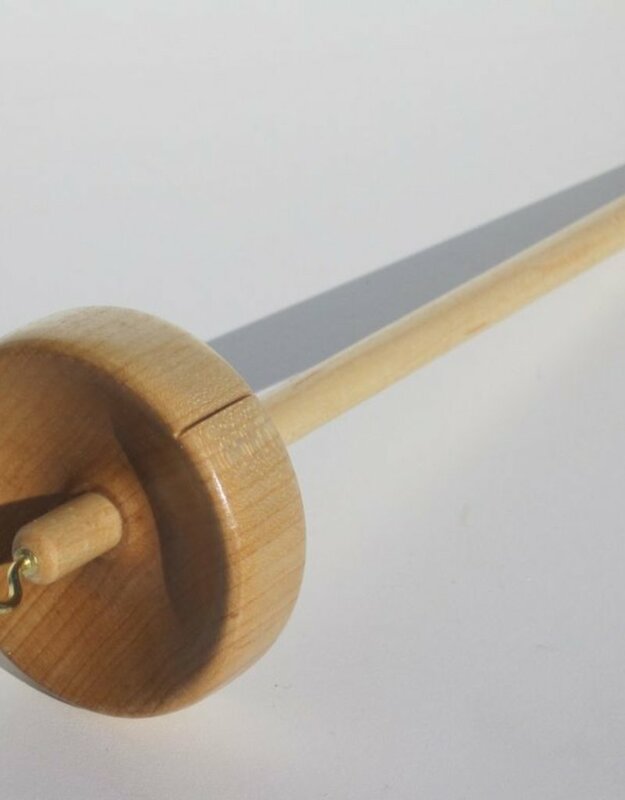 The spindle is 10" long, rounded on both tips, has a 2.5" whorl, and weighs 1.8 ounces.